Hourly wage growth is down. Business rankings have declined drastically. 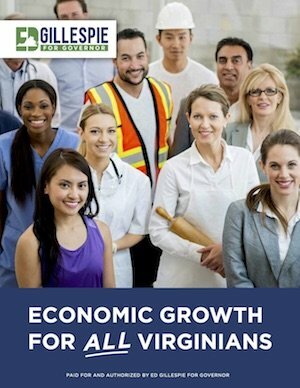 Virginia is lagging in economic growth. In 2016, we ranked 39th in the nation with 0.6 percent economic growth. This year’s gubernatorial election presents two choices: One choice is about policies favoring long term economic growth that will provide jobs and prosperity. The other is to favor approaches that grow government, saddle the private economy and taxpayers, stall economic growth, and make it difficult for Virginia to compete successfully with other states. Because economic growth is so important, and because it is often difficult to see the relationship between high taxes and overly stringent regulation, on the one hand, and slow growth on the other, we must reset our economic growth mindset. Every state and local government imposition—taxes, regulations, restrictions, permitting or processing delays, inability to decide, inability to provide a mechanism for efficient resolution of disputes—should be seen through the prism of its impact on economic development and growth. There should be no acceptance for inefficiency and unnecessary bureaucracy at any level of government. Without a shared competitive mindset, jobs will be more difficult for the private sector to create and attract; government action and inaction will stifle growth and productivity; and Virginia will lose ground as a place for business formation, expansion and investment. We’ve already begun to lose that ground. And worst, the hardest hit will be those with the fewest options for economic opportunity. Virginia does not have a comprehensive long-term vision looking out thirty years to guide our economic development planning. The Virginia Chamber’s BLUEPRINT process and the good work advanced by GO Virginia need a strong executive in the Governor’s Office to deliver on the opportunity presented. As governor, Ed will make short-term reforms and advance priorities for long-term growth along with private and public partners. Virginia faces significant economic competition from nearby states like North Carolina, South Carolina, Georgia, Tennessee and Maryland for opportunities to attract new businesses or retain existing business. Beyond that, we are competing in a global economy. Virginia suffers from a “company town” syndrome, with the federal government in the role of the dominant company. Approximately 20 percent of Virginia’s workforce and GDP are tied to federal government employment, contracting and grants. But the goal is not to get less in terms of federal dollars. Rather, it is to develop a more diverse economy to lessen Virginia’s dependence on federal spending and Virginia’s vulnerability to downturn. A key indicator of economic development is the rate of economic growth, and everyone is impacted by whether the economy is growing and at what rate. A robust growing economy can benefit everyone. However, when an economy is lagging, those with the fewest choices are hurt the most. To be sure, there are issues of fairness of opportunity and these issues are important now and will likely become more important in the future as we see technology making more and more functions easier. But if the goods and services are never produced in the first place—if our economic framework stifles growth instead of encouraging it or letting it happen– there is no chance for prosperity. The mathematics of growth: Small differences in rates of growth over a long period of time produce gigantic differences in the value of the goods and services we produce and can consume. If you are in your early 20s, you might be paying off debt for education, have a low paying job, maybe you are living with your parents. Your generation will be asked to help pay for Social Security and Medicare and/or Medicaid for those in their 50s and older; life expectancies are getting longer. You want the American dream. You want the Virginia dream. Consider what jobs and economic growth mean to you. If you are in your 30s or 40s or 50s, you are paying for housing or a home mortgage; you may be paying for education of your children; you are trying to save for your own retirement. Consider what jobs and economic growth means to you. If you are in your 60s, 70s or 80s, you may be in or nearing retirement. You may be dependent on Social Security, Medicare and/or Medicaid. The funding for these programs does not fall from the sky. Consider what jobs and economic growth means to you. An economy in which there is an incentive to innovate and work hard. Ed Gillespie has put forward detailed policy proposals which have as their principle goal growing our economy. Ed believes that the best economic development strategy is to allow people to keep more of their own money so that they can buy new homes, invest in their kids education, and grow their businesses. He proposes a ten percent across-the-board cut to Virginia’s individual income tax rates and a plan to reform local business taxes. It is not the role of government to create jobs but to foster the right conditions for entrepreneurs to create jobs and let businesses grow, which is why Ed also has a comprehensive regulatory reform platform to reduce outdated regulation and burdensome licensure requirements. The next priority is to right the ship after the policies of the McAuliffe-Northam Administration. A top priority will be to fully implement the JLARC recommendations to ensure that state monies are spent right and that there is accountability and transparency. Before spending more money on economic development, we need to restore confidence. Unfortunately, Virginia has seen a precipitous fall in business rankings. Ed has a plan to address the areas where major ranking organizations say we are weak: better preparing our workforce, lowering the cost of doing business, providing a reasonable regulatory framework, and investing in infrastructure. We must also improve rural economic development. Ed’s economic development policies benefit all parts of our Commonwealth. Virginia must invest in sites, a rural policy, broadband, and workforce development. Ed will ensure that his comprehensive strategy has strong leaders to implement it. His Secretary of Commerce and Trade and Secretary of Technology will jointly pursue economic growth in all regions. 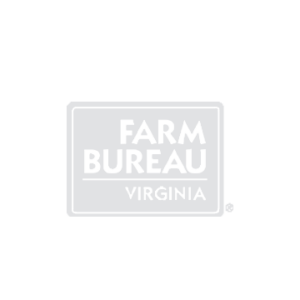 We need someone who will attend meetings (VEDP, the Virginia Rural Center, GO Virginia) and be in charge of implementing the plans Ed has put forward. To get Virginia’s economy back on track, we need a governor, working with his Secretary of Commerce and Trade and Secretary of Technology, to coordinate all the agencies and show leadership. We do not need to repeat the scattershot, feel good, but also asleep at the switch actions of the McAuliffe-Northam administration. 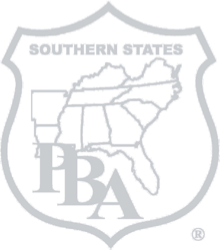 Ed is proud to be endorsed by the National Federation of Independent Businesses-Virginia, Associated Builders and Contractors (ABC), the Northern Virginia Chamber of Commerce’s NOVABizPAC, the Virginia Farm Bureau AgPAC and many business leaders from across the Commonwealth. The Virginia Economic Development Partnership (VEDP) fell to its lowest point in its nearly 30 year history last year under the failed leadership of the McAuliffe-Northam Administration. After a series of avoidable errors, including the defrauding of taxpayers to the tune of a $1.4 million cash grant to a fake Chinese company, Virginians have lost confidence in the state’s flagship economic development entity. A damning performance audit from the Joint Legislative Audit and Review Commission (JLARC) found an agency lacking strategic direction and a workforce in need of direction and encouragement. VEDP is home to dozens of dedicated employees who have made a career of creating jobs and opportunity across the Commonwealth. Further, many local leaders have lamented a top-down approach from the VEDP; an approach that focuses on what the VEDP thinks is best versus what regions need to grow and thrive. VEDP was created in 1995 by Governor George Allen to serve as an economic development partner. Until recent years, VEDP’s model has served Virginia well. Ed will direct his Administration to study the VEDP management and project delivery model for anticipated action in the 2019 legislative session. Further, he will request a full analysis of the funding streams for VEDP and its incentives. This will maximize operational reviews currently underway, as well as the JLARC incentives oversight function. As governor, Ed will direct his Secretary of Commerce and Trade to personally attend meetings of the VEDP Board of Directors. The Gillespie Administration will not rely on ‘designees’ to fill the seats of the Gillespie Cabinet as the current Administration has done. The poorly attended VEDP Board meetings under the McAuliffe-Northam Administration is partially responsible for the lack of accountability and failure. Further, Ed will inject transparency into the agency by requiring the Board to develop solutions to enable greater public review, including publishing more detailed meeting agendas, presentations and meeting minutes. VEDP can balance the need to protect prospect information with the need to provide additional transparency. Virginia’s economic growth is lagging the nation. This demands that we redouble efforts to ensure Virginia is benefiting from an effective economic development agency. Ed will direct his Secretary of Commerce and Trade to engage an expert to review Virginia’s economic development incentives. This review will be done in coordination with the legislature’s ongoing review. Further, Ed will direct his Administration to proactively work with the General Assembly to identify a recurring review process to provide certainty to industry and confidence in the process for taxpayers. As many recognize, Virginia is not alone in its economic development dependence on financial incentives to attract business and industry. Unfortunately, this is an “arms race” in which Virginia competes against our neighboring states and states across the nation. Virginia cannot unilaterally disarm, however, we can and should play a leadership role in reframing the national environment as it relates to economic development incentives. As governor, Ed will initiate a thoughtful regional and national discussion about the future of economic development incentives, including a challenge to move to entirely performance-based incentives that reward long-term investment and returns on investment. Virginia and the nation should favor incentives to invest in people and infrastructure and training and not just corporate subsidies. Ed has travelled every corner of the Commonwealth. He understands that each region faces different challenges and has unique opportunities. As governor, he will be a strong and vocal advocate for every region of Virginia. He will work closely with GO Virginia and the related regional councils to grow our economy. GO Virginia presents significant opportunities but needs a governor to deliver on its potential. GO Virginia is rightly focused on building Virginia’s ‘product’ rather than marketing Virginia to potential business attraction or business expansion. First, it is essential to think about economic development for the Commonwealth as a whole, not just for the three major population centers. Many states have a model or are racing toward a model where one city is the focal point and the rest of the state is overlooked. A better model is where citizens from every region share in a state’s prosperity. Dwight Eisenhower recognized that infrastructure was a key to equitable distribution of economic benefits; the building of our interstate highway system, beginning in the 1950s, was in furtherance of this recognition. If corridors along Rt. 58, Rt. 29, I-81, I-64, I-95, I-77, I-85 and I-66 can be enhanced, connectivity to the Mississippi River to the west, Research Triangle Park to the south, and the Atlantic and global markets to the East, will be improved and every part of the state will become more economically attractive. To accelerate collaboration, Ed will convene a joint meeting with the Center for Innovative Technology Board of Directors, State Council on Higher Education (SCHEV) Board of Directors, VEDP Board of Directors, leadership from the GO Virginia Board of Directors, and each GO Virginia regional council within the first 30 days of the Administration. The meeting will reinforce Ed’s commitment to growth in each region and collaboration. At this meeting, Ed will assemble top economic development leadership to meet with their GO Virginia counterparts. This meeting will ensure that top leaders in the Gillespie Administration have relationships with GO Virginia leaders from the beginning. Further, Ed will require that any legislative, budget or programmatic proposals put forward include a screening question regarding the project’s ability to coordinate with GO Virginia. Many parties involved in GO Virginia are motivated by the prospect of a serious attempt to accelerate regional collaboration and data-informed approaches to economic development. Unfortunately, there remains a fear of false starts from state-led programs. Ed is committed to making GO Virginia successful in creating more, higher-paying jobs for every region of the Commonwealth. The Center for Innovative Technology (CIT) has been an underutilized asset for Virginia. CIT must be successful in order to sustain long-term economic growth. CIT has been considered an afterthought in the state’s economic development strategy. This is due in part to the fact that CIT is led by the Secretary of Technology and not the Secretary of Commerce and Trade. Both cabinet offices and reporting agencies must adopt and advance an agreed upon framework for technology growth. Virginia’s Secretary of Technology should join a Virginia company in celebrating when they achieve an equity moment. An IPO, a major acquisition, or explosive growth is cause to celebrate Virginia’s start-ups and scale-ups. The sweet spot of job creation is when a small business is becoming a big business. These activities are not secondary to a major relocation or expansion. Virginia needs an all-of-the-above approach to job creation and economic growth, and the Secretary of Technology and CIT are critical to that vision. In order for CIT to realize this vision, the organization needs to plant and expand roots in all regions of the Commonwealth. CIT administers key programs important to the innovation economy. As governor, Ed will grow and advance the role of Mach37 – CIT’s cybersecurity accelerator, CIT Gap Funds, and the Commonwealth Research Commercialization Fund (CRCF). He will also encourage CIT to continue to develop its economic impact throughout Virginia. Today, Virginia has jobs that cannot be filled because it lacks a workforce with appropriate training. The National Capital Region, which includes Northern Virginia, has more than 40,000 cyber jobs vacant. We can choose to fill those jobs, or they will leave Virginia in search of talent. Although progress has been made with our community colleges, we have not effectively enough linked training to actual jobs. GO Virginia and the regional Economic Growth and Diversification plans are helping to shrink this gap. As governor, Ed will sign an executive order establishing the Office of Workforce Transformation, as an office of the Secretaries of Commerce and Trade, Education and Technology to focus singularly on workforce transformation here in the Commonwealth. The Office will include the administration of workforce policy, bringing together agency programs and policy. In order to accurately measure job creation, Ed will work with experts to use a metric that will not just measure positive job creation or count jobs by unrealized numbers from economic development announcements, but a more realistic, net measurement. Virginia has a number of key assets that are not being utilized to their full potential. These include its education and medical institutions, the Port of Virginia, Wallops Island and its energy grid. In addition to these large assets, Virginia and local governments should review and inventory their assets looking for ways not only to put them to use but also to leverage them for economic development purposes. Ed recognizes that Virginia’s location and resources make it a great home for business. Additionally, he has plans to improve our education and workforce pipelines, and he proposed a plan to improve our regulatory and tax climate. But that will not be enough if we do not have business-ready sites. As governor, Ed will improve and grow Virginia’s site readiness efforts. Many economic projects are contingent on the availability of a site that meets their needs, and Virginia can and must do more to have a range of sites that are ready and able to meet the needs of growing businesses. Virginia is home to world-class universities and research centers. We are also home to a population that is hungry for entrepreneurial opportunities. Blockbuster innovations start as concepts that can be tested, confirmed, improved and eventually, commercialized. This requires the right mix of talent, capital, freedom and resources. We should not endeavor to become a carbon copy of Austin, Boston or Silicon Valley, but rather we should do what Virginians have been doing since 1607: claim leadership. Virginia has a significant gap in the startup space funding. By investing in proof-of-concept funding, Ed will work to bridge the gap from research to commercialization. This stage of funding is usually one of the most difficult for start-ups, and the state government must play a part in ensuring proper investments are made to support these small businesses. Ed will also establish the Virginia Technology Transfer Center, modeled after the Massachusetts Technology Transfer Center. This center will be a resource for technology transfer offices, researchers and inventors at higher education institutions to bring their product soon to market. Through collaboration and strategic partnerships with private investors, the Virginia Technology Transfer Center will bring together the private and public sectors to spur innovation and commercialization. Ed will support and improve the governance and responsiveness of Virginia’s research investment programs – the Commonwealth Research and Commercialization Fund (CRCF) and the Virginia Research, Development and Commercialization Fund (VRDCF) – to ensure they are fully utilized. Virginia-based educational and entrepreneurial business development pipelines or corridors are critical to economic growth. For example, Charlottesville is already developing multiple accelerators around education, technology (including defense tech) and health care. Similar systems to these in Research Triangle Park, Austin and Boulder have helped their local economies attract and retain young people with high-paying jobs. These regional, integrated development approaches help small businesses survive start up and become “gazelles,” where they can grow and generate new jobs in today’s economy. As governor, Ed will work with our colleges and universities, public and private partners, and tested-entrepreneurs to bring proven acceleration strategies to Virginia. Capital is critical to businesses across their life cycle. From early ‘family and friends’ investment to angel and venture funding to an Initial Public Offering (IPO) – capital is what grows companies to scale and create jobs. In order to scale, many of these companies require venture capital and mezzanine financing, not just established private equity or commercial debt. Currently, many of Virginia’s VCs tend to invest in other state eco-systems. Virginia should benchmark, not just what Massachusetts, California, and New York are doing, but also Michigan and other states that have changed their VC policies to improve their positions. Virginia is not a preferred destination for venture and mezzanine capital. More than two-thirds of VC funding tends to go to just three states: California, New York, and Massachusetts. In order to continue to grow Virginia’s early-stage capital mix, Ed will support additional funding for the CIT GAP Funds program, the Angel Investor Tax Credit and the Capital Gains Tax Exemption. Research confirms that in order for any community, region or state to cultivate long-term economic growth from startup and scale ups, early stage capital must be available.